Word up, The Plump DJ’s are heading to Exeter Phoenix this weekend! The internationally renowned DJ/Producer duo Andy Gardner and Lee Rous of London headline this special Beatz and Bobz night at the Phoenix on Saturday 30th Nov. 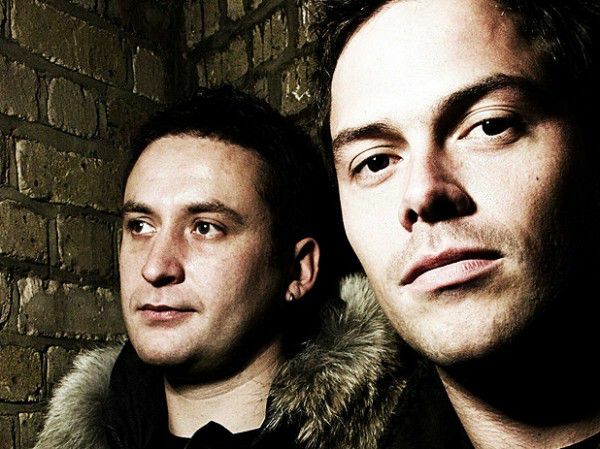 The Plump’s unmistakable sound has won them remixes from the likes of Deadmou5, Mark Ronson, Moby and Orbital, whilst their four deck live show has led to countless international and national shows. Support comes from the The Correspondents aka Mr Bruce and Chucks but they find it difficult to explain exactly what music they make. Into the mixing pot Chucks throws a history of dance music from Blues to Jazz, Electro to Dubstep to Drum’n’Bass, then back again. Seasoned with Mr Bruce’s vocals depicting the trials and errors of Love, Lust and Loss and there you have a menu to be devoured. Their live shows explode the structure of a DJ/MC set up with Chucks hurling tracks at the audience and Mr Bruce in fully flamboyant costume whipping them into a frenzy with high speed scatting and incredulous dance moves.